The Montespina Park Hotel is a refined hotel located in Agnano Terme, in the western part of Naples, in an ancient period villa, completely refurbished, where guests can relax in a welcoming and cosy atmosphere, very close to the main motorways and connection roads, at a short distance from the exposition center Mostra d’Oltremare and 1.5 km far from Città della Scienza. 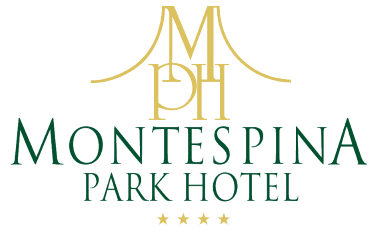 Montespina Park Hotel Resort is set on a hill, from which it takes its name, and is surrounded by a 30.000 sqm park with ample free parking space, secular trees, flowers and luxuriant citrus fruit trees typical of Mediterranean vegetation, with lively and strong colours. The beautiful sweet-water swimming pool, surrounded by a patio with chairs and deck lounges, is open in the summer period until late afternoon, allowing hotel guests restful swims and pleasant moments of relax, while children can entertain themselves in the play area or by the swimming pool, specially equipped for them. Please note that it is compulsory to wear a bathing cap during swimming. These can also be purchased at the hotel. We inform our guests that the seasonal opening and closing period of the pool will be evaluated based on seasonal weather conditions. We therefore advise you to contact the hotel during the months of May, June, September and October to check the status of the service. 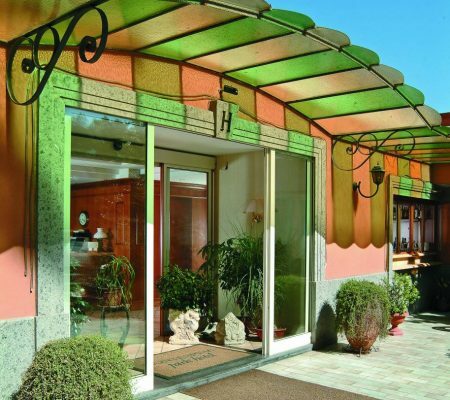 Montespina Park Hotel has a lovely restaurant with an extensive menu based on fresh, authentic products. In addition to traditional dishes, the kitchen also serves excellent Mediterranean and international cuisine. Ceremonies, receptions, business lunches and special events can be held in this ideal location surrounded by rare natural beauty.